The big theme many exhibitors focused on was plastics reduction. Although recyclable and compostable packaging has been around for quite some time, it received lots of attention this year. 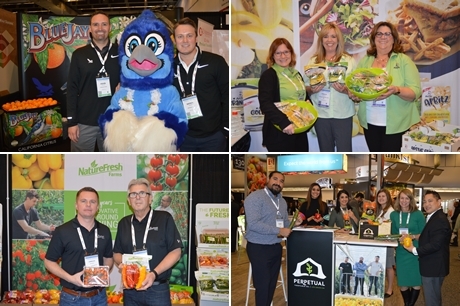 Several new packaging items were part of the New Product Showcase that contained close to 40 new products. In addition to packaging, a number of new snacking vegetable items were displayed, including mini cucumbers and tiny tomatoes. 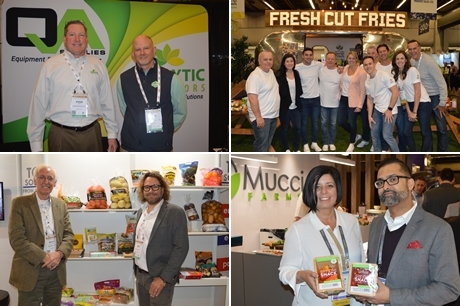 Ontario-based Mucci Farms won the Freggie Award for its CuteCumber poppers and Sunset won the Best Organic Product award for its organic Angel Sweet tomatoes. Schur Star Systems won an award for its 'Zip Pop' Dual compartment Steam bag that contains fresh produce and seasoning in one bag, but in different compartments. 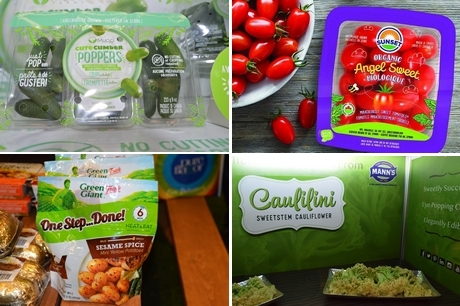 Mann Packing won an award with its Caulilini® Sweet Stem® Cauliflower.